In Marble Run 2D you have to build unusual mechanisms, develop spatial thinking and engineering abilities. If you like this free game, try The Rainbow Machine. Combine more than 30 unique parts and mechanisms to build tracks. Change the order and tilt angle of the parts. Create unusual tracks. This game perfectly develops logic and spatial thinking. A good way to relax and spend quality time. 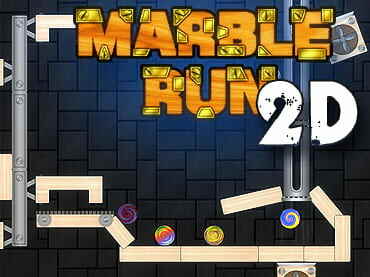 If you have questions about Marble Run 2D game, please contact us using this form.